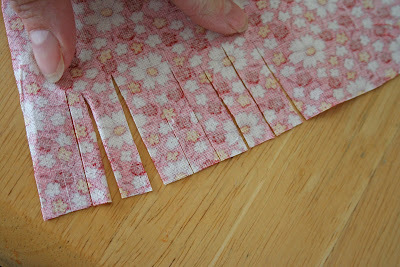 then you want to cut strips like a comb on both sides of your fabric (the sides that will be on the top and bottom of your eggs) do not cut all the way through you want it to stay in tact in the middle. next get your modge podge. here's where the kids go to town and have some fun. 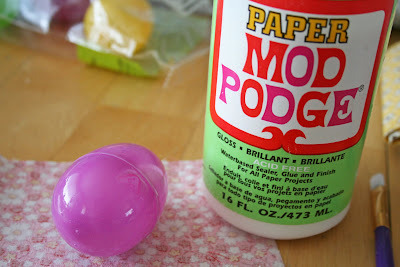 modge podge your egg. slime it up a bunch! do the same to the bottom. and keep going with all the colors. 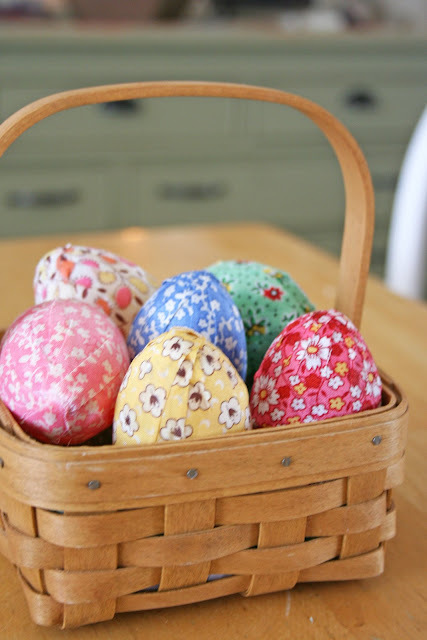 you will end up with a super cute basket full of eggs! 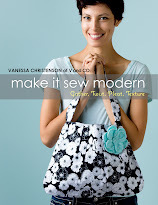 Yippee- a project with fabric and glue and no needles- my kind of project! Watch out spray paint, there might be a new lovah in town....Modge Podge! i clicked on your blog and i was all like, "hey i know those guys"
LOVE, LOVE, LOVE what you did with them. they were actually the perfect fabrics for this. funny how things work out. Thank you so much for a great idea! Gotta do this with my kids...thanks for the great idea! Oh and the baskets on the wall.... so cute! Love the phone stand too. 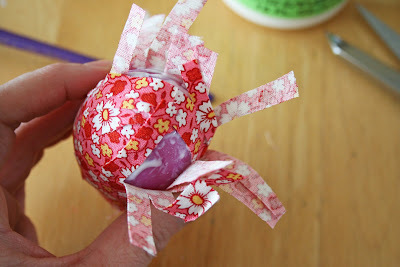 Very cute, I used to do this with tissue paper, a very good craft to use up scraps. Next you will have us doing fabric baskets ala Moda Bakeshop! This is so cute and great for the kids. It will be our project for this weekend. I love 'em! And the fabric is delicious! V, I love having coffee with you every morning!!! 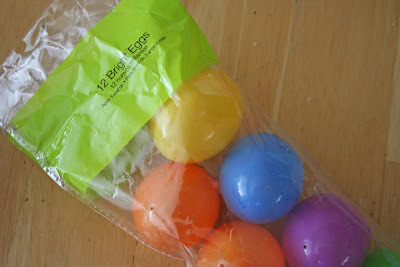 I have several things I could get done - but I am skipping ahead to egg making! Just the inspiration I need to "spring" clean and put out a few Easter items. Plus, I think this would be a cute little gift for the hostess of my bee-let in April. I'm all about covering eggs and making them all cute. Love the fabric. I have plenty of fabric, but these cute eggs are making me want to stop by JoAnns on my way home from work. What a great centerpiece idea!! I love it! That is so stinkin cute! How are you guys btw? Your eggs are adorable! Great idea! and the bench you put in your laundry room ... AWESOME! Love your blog and all your great ideas! Look at you another great idea! What a terrific idea...thanks so much! I'm going to make some of these! those are very cute! i might have to do that next week during spring break! Loving this tutorial and how cute to fill up my basket that you posted. I have just had one of the hardest weeks of my life!!! A wonderful fun craft like this is just what I need! 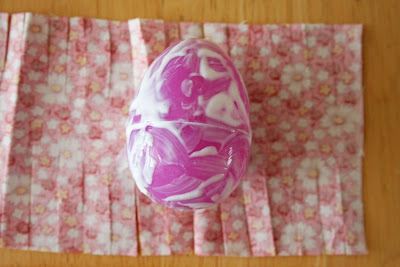 They remind me of washi eggs I learned to make while living in Japan. I am also loving those baskets you hung on the wall...beautiful. i am not a crafty person, but even i can handle these! i just linked to your tutorial on my blog-- that's how much i love it! Love this!! I freely admit that I always have a huge jar of ModPodge laying around the house, so I will definitely be making this with the kiddos! 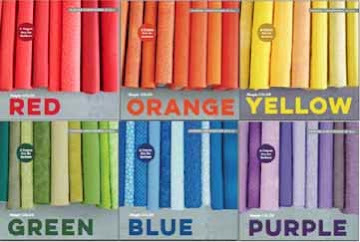 The fabrics you used are SOOO pretty! I'll be linking. I'm making these eggs as I said in an earlier post, and was wondering if I showed them on my blog could I link to yours??? Yet another great tutorial! Thank you for sharing it with us. I posted the link to it at PassiFlora magazine (http://passifloramag.com/2009/04/easter-craft-and-twitter/) hope ou do not mind. I'm not sure exactly how I found your blog...from another blog, I'm sure:) It's lovely! I loved this tutorial!! I made these this week with my daughter and they turned out so cute. I blogged about it today and linked to you. Thanks for sharing this great idea!! Obrigada por partilhar este tutorial eu postei o link no meu blog. Adorable and recyled too! I'll be posting a link to your tutorial on my blog this week, along with your tutorial button image, if you don't mind. Thanks! Oh my!!!!! I love the eggs. How sweet and so spring like. They're just beautiful. 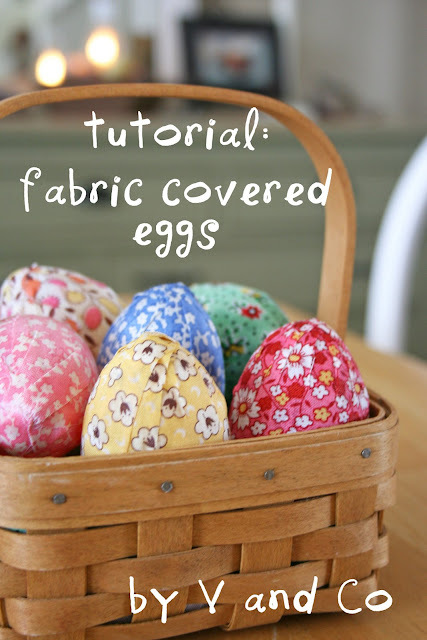 Those fabric covered eggs are so cute. Thanks for sharing. Love & blessings from NC! Oh My! I just found your blog! Those eggs are so stinking cute!!! I do the same thing to make christmas ornaments, except i cut the fabric into long strips and wrap it around styrofoam balls, then add a hook. they always turn out so pretty and cool-looking. Love these! Will just have to get my hands on some plastic eggs! Looking forward to making some eggs! Thank you so much for sharing this awesome tutorial! I can't wait to make some of my own. So cute and easy! I would love for you to share it at our HOPPITY EASTER Craft Party!! I made these covered eggs and also taught my cousin in Arizona to make them. We had a ball picking out cute fabric and making them. Thanks for a fun and easy project!!! This looks like a fun 4H project. It won't take a long time to do so those kiddos that are in between projects can do this with little help and it is easy enough for both age groups to do and present at the fair. Thanks!